The place for research and data on manufactured and modular housing. 2018 Quick Facts: Trends and information about the manufactured housing industry. Construction Planning Guide for Your New Manufactured Home: A brief overview to help you understand the process of buying a new manufactured home. Frequently Asked Questions: Answers to commonly asked questions about manufactured housing. Understanding Today’s Manufactured Housing: Covers such topics as the HUD Code, the affordability factor, the inspection process, manufactured home buyer demographics, impact on property values and community services, fire and wind safety, financing and design innovations. Understanding Modular Homes: A brief overview of the modular housing process. Affordable Housing: Manufactured housing is already a major part of the solution to the nation’s lack of affordable housing. 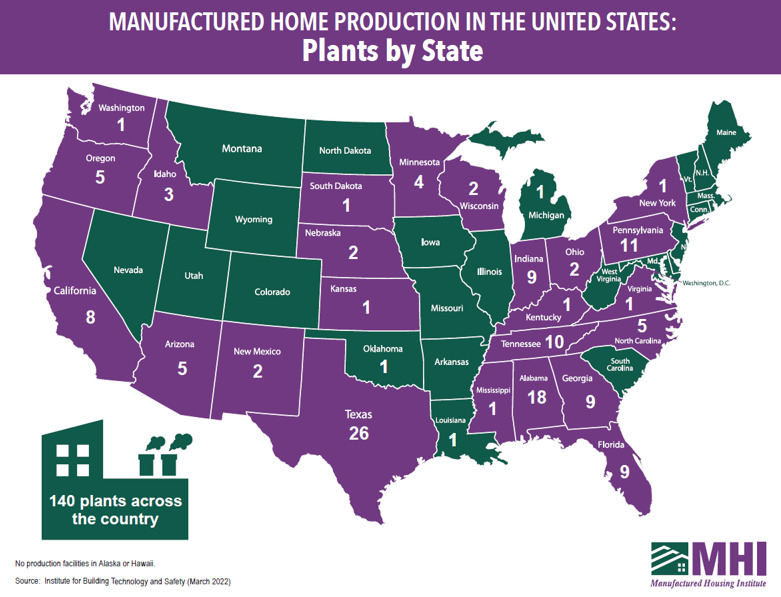 More than 22 million people in the U.S. live in manufactured homes. In many parts of the U.S., these homes are the least expensive kind of housing available without a government subsidy.